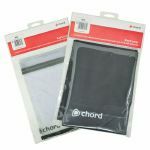 Chord Keybags are the UK's most popular brand of keyboard bag. 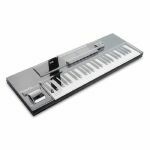 Our range covers virtually all makes and models of popular keyboards; from mini keys to 88 note portable digital pianos. 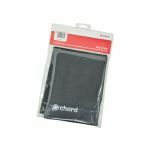 Each bag is made from strong nylon, combined with double stitched and over-locked seams; providing maximum protection to keyboards. Notes: Keyboard cover to fit keyboards with 4/5 octaves. Notes: A range of keyboard covers with a unique design suitable for narrow or wide keyboards. The high quality vinyl material offers waterproof and anti-static protection to the micro-electronic circuits. All popular models and up to 88 note portable digital pianos are catered for. Notes: The CME Pro Supernova Xkey Protection Carrying Case is designed to protect the Xkey portable MIDI controller while traveling. The case is constructed from polyester fabric and features two zippers that wrap around two sides of the case for easy access to the controller. Notes: The Elektron ECC3 Carry Bag can accommodate one Analog Four MKI, Analog Heat, Analog Rytm MKI, Digitakt, Digitone, Machinedrum, Machinedrum UW, Monomachine, Octatrack MKI, Octatrack MKII. Includes one fastening divider to fit your device. Front pocket suitable for PSUs and audio cables. Notes: Designed to protect your prized instrument. The Moog Little Phatty Gig Bag will give you the confidence to transport it freely and safely. 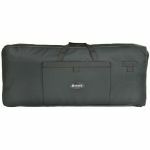 The Moog Little Phatty Gig Bag is made of heavy-duty nylon material, with double-stitched construction. With padded interior and exterior pockets for extra storage, the gig bag manages your musical gear with ease. Shoulder strap, backpack straps and an easy to carry handle offers flexibility when traveling. Also, the bag is specifically sized for the Little Phatty, has 3/ 4" foam all around and contains internal velcro straps to keep it from sliding. Notes: The Little Phatty is one of the coolest cats around, and you can keep yours free of dust and other unsightly debris with this super-cool Little Phatty Dust Cover. Crafted from vinyl and lined with fleece, the Little Phatty Dust Cover protects your Little Phatty from dust, dirt, spills, and other dangers lurking around the studio and stage. Elastic in the corners keeps the Little Phatty Dust Cover securely in place over your prized synth. A Moog logo adorns the top of the Little Phatty Dust cover. Notes: A padded carrying case for the Theremini. Perfect for the thereminist on-the-go. Black nylon packcloth with 3/4" foam padding, removable padded shoulder strap, internal pouch for antennas, and external pouch for power supply unit. Notes: Lightweight and durable, Black Series bags are perfect for performers on the go. With a rugged exterior and thick internal padding, your instrument in shielded from bumps and bruises while you're on the move. Ideal for everyday use, the CB-BRB1 protects your Roland Boutique module in style. Notes: Lightweight and durable, Black Series bags are perfect for performers on the go. The CB-BRB3's unique design provides a main compartment for one Roland Boutique module mounted in a K-25m Keyboard Dock, plus internal pockets for two additional modules. A rugged exterior and thick internal padding shield the modules from bumps and bruises while you're on the move. Ideal for everyday use, the CB-BRB3 protects your Roland Boutique modules in style. Lightweight and durable, Black Series bags are perfect for performers on the go. The CB-BRB3's unique design provides a main compartment for one Roland Boutique module mounted in a K-25m Keyboard Dock, plus internal pockets for two additional modules. A rugged exterior and thick internal padding shield the modules from bumps and bruises while you're on the move. Ideal for everyday use, the CB-BRB3 protects your Roland Boutique modules in style. Notes: The limited-edition CB-PBR1 bag is the perfect accessory for any Roland Boutique module. It features a sleek silver colour, rugged exterior, and a shoulder strap, plus internal padding to shield your instrument from bumps and bruises. Ideal for everyday use, Roland Black Series bags protect your gear in style. Notes: The limited-edition CB-PTR8 bag is the perfect accessory for the Roland Boutique TR08 Rhythm Composer, or indeed any Roland Boutique module. It features a rugged exterior and an adjustable shoulder strap, plus internal padding to shield your instrument from bumps and bruises. Ideal for everyday use, Roland Black Series bags protect your gear in style. Notes: The Roland KC-L keyboard cover protects your instrument from dust and debris when it’s not being used. The stretchy nylon fabric and integrated drawstring ensure a secure fit. Ideal for studio musicians, stage performers, schools, and more. 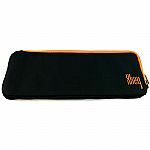 Notes: This dedicated carrying case for the nano series fits perfectly in a bag to casually carry to a gig or practice. Featuring a soft-shell structure with a distinctive mesh design that provides the perfect amount of cushioning and support, it securely protects your KORG nano series unit. Inside the lid are two pockets that can hold cables or other small items. Notes: A dedicated soft case to easily carry around your KORG D1 digital piano. Transport it with ease using its central handle or the side handles for dual carrying. Your music stand will perfectly fit in its central pocket. Notes: A dedicated soft case for transporting a 61-note keyboard such as the EK-50 or PA300. The hand-carry grip is equipped with cushioning material to ease the strain on the hand or shoulder. The surface is made of rip-stop material that is both durable and lightweight, and the case can also be folded to save space when not in use. Notes: The CA-24 from Teenage Engineering is a silicone pro case specifically designed for the Pocket Operator PO-24. The case not only offers protection to the circuit board, but also provides anti-slip feet, battery protection, and professional feel buttons. Notes: This protective padded polyester case is specially made for the Teenage Engineering OP-1 Synthesizer by Unit Portables. This handy case is perfectly sized and will keep your synth protected when you're on the move. It also includes a useful cable wallet. Notes: The AX-48 Pro Tote is the perfect accessory for the APEX AX-48 Pro Keyboard Stand. It's a durable tote bag with a carrying strap, plus room for one boom arm (sold separately).